More than 100 million pounds of avocados will be enjoyed on Super Bowl Sunday. That’s enough to fill MetLife Stadium end zone to end zone some 40-feet deep in gaucamole. 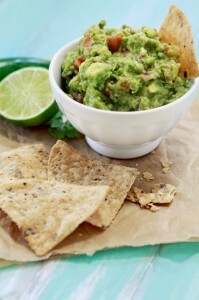 Since I ran into Joe Montana at SFO a few days ago, I felt it necessary to feature one of his twist on guacamole. Montana is considered one of the best QB ever and led the 49ers to four Super Bowl victories during his career. Will the 49ers ever return to those glory days???? 1. Place tomatillos, green onions, lime juice, hot sauce and salt in a medium bowl and toss to combine. 2. 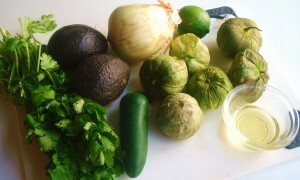 Add avocados to bowl and stir to combine, somewhat mashing the avocado.